My 2019 Analogue System (Wonderpens) ✑ I love reading these overview articles about someones general approach to analogue tools. Always beautiful photos as well. Let the Fountain Pens Flow! 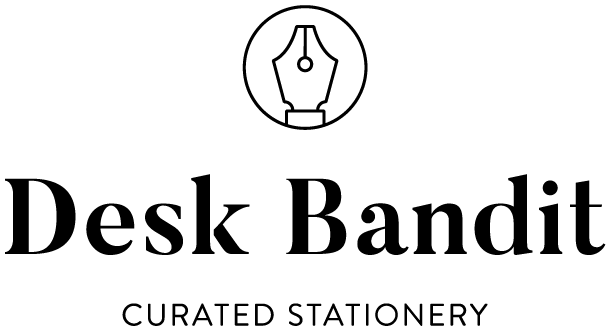 (New York Times) ✑ There’s nothing particularly interesting about this article from the point of view of someone already deep down the fountain pen rabbit hole, but it’s always great to see this little niche hobby reach the ‘normal’ world and the New York Times is certainly one of the best places to breach that divide. Kyo No Oto Aonibi (by Stalówka) ✑ I very nice lower saturation blue. Also one of the Staionery TAG inks that’s nice and wet. 2018 Annual Review: What I liked, didn’t like, and want to see next year (Gentleman Stationer) ✑ Joe covers the whole fountain pen world (compared to my ink focused article). I definitely agree with is Joe’s points on “Return to Classic, Vintage-Inspired Design” and “Consolidation in Ink Lines”. 12 inks for 2019 (UK Fountain Pens) ✑ I’ve never understood the appeal of wanting to empty a bottle. I’d get way too bored and if you have a larger ink collection then the variety that comes with it is much more attractive to me than being able to say you finished an ink. Plus I’d be sad that the ink bottle died… Poor baby. Still This is an interesting approach to bridge the difference between my approach and the #emptyinkbottlechallenge. my top five inks of 2018 (inksharks) ✑ Some interesting and different choices! No bad choices (though I don’t find Barkley’s Blue Teal particularly exciting). I definitely need to try some Lennon Tool Bar this year. Diamine Exclusive - Ortloff (Nick Stewart) ✑ honestly I love sheen but even I’m feeling a little fatigued by them all. This does look beautiful but is it too similar to Cult Pens Robert? It looks more orange and less magenta which is nice. Bungubox Melancholic Gray (Wondernaut) ✑ I quite like this grey and I need to grab it some time soon. Pen Savings (60% off Diamine Inks with “diamine”) ✒︎ Diamine (30ml inks available only) is currently a whole 60% off which is extremely cheap. Buy now! Shipping is very decently priced They are my go to place for US inks such as Organics Studio, Noodler’s, Monteverde, and Private Reserve and if you aren’t buying Diamine then use the code ‘MACCHIATOMAN’ for 12% off everything. Desk Bandit ✒︎ The only place I know that stocks Carpink! Full range of the beautiful Nagasawa Kobe inks as well as Nagasawa’s Sailor Pro Gears! Full Range of Colorverse. So many great things! My favourite Kobe inks are #38, #41, #19, and #69! Desk Bandit are also selling Sailor’s Ink Studio and Shikiori. La Couronne do Comte (10% off with MACCHIATOMAN10) ✒︎ pre-order the Pelikan Ink of the Year 2019 ink Ruby Star of the 2019 AL-Star LE Bronze. Pen Chalet (10% off with MACCHIATOMAN) ✒︎ Taccia Pinnacle Fountain Pens are on sale. They are curious looking pens but the steel nib is made by Sailor so it will be great to write with.